Active volcanoes, spectacular marine life, and some of the best tropical views and beaches on the planet make the Philippines a growing vacation destination. Underwater wrecks and diverse sea life, as well as one of the biggest coral reefs on the planet make this South Pacific vacation destination perfect for this fall. When the summertime temperatures give a slight reprieve in Paris, it also coincides with grape harvest time in the French countryside. In the city, fall is one of the most active times of year for festivals. The brilliant fall foliage only adds to the beauty of this city. For such a small country, The Netherlands has an immense tourism industry. Between Belgium and Germany, The Netherlands experiences some of its most comfortable temperatures in the fall season. Visit some of the popular destinations in the city like the Anne Frank House, Rijksmuseum, or the Floating Flower Garden. A trip to the country also wouldn’t be complete without a trip to historic (and sometimes notorious) Amsterdam. A lot of people don’t know this, but the best time of year to see the southwest USA is in the autumn. Like the rest of the country, there is some foliage, along with much cooler, drier temperatures. Days are still warm, but not as hot and unbearable as in the summer months. Nights are cool and comfortable, but sometimes can get into the near freezing range. Zion National Park explodes with color in the autumn, as the birches lining the Virgin River invite you into the difficult water hike, The Narrows. It’s not for the novice hiker, and you’ll need some special equipment, but it’s entirely worth the bother. This is one fall vacation you’d never forget. The kids are back in school, so this is the time to really get to the park if you want shorter lines and comfortable temperatures! Sure, they just got back in school, but this time of year is great for a vacation (maybe you want to pull them out for a long weekend?). The only downside is that it’s hurricane season, too, so along with the comfortable weather once in a while comes a tropical storm or hurricane. Luckily, Orlando is far inland, so you won’t have to deal with coastal flooding. Napa is best seen in the fall months. The area experiences great fall foliage, as well as the annual wine harvest. Along with the harvest, many wineries have parties to kick off the season. Grape leaves turn to orange-red hues, contrasted by vibrant purples. The Southern California region is known for its year-round warm weather, palm trees, and laid back attitude. So why is autumn the best time of year to visit Southern California? The temperatures see their peak in late summer in California, but the air still stays very warm into October. While the area may not see fall foliage, it also doesn’t see nearly as many tourists. That means less lines, less traffic, and lower prices on hotels. Check out cities like Palm Springs, Irvine, Santa Monica, and San Diego for warm weather and views all to yourself. Just as the wine flows in the autumn in Paris and Napa, the beer starts to flow from taps everywhere in the fall during Oktoberfest. This celebration is an age old tradition where you can sample some of the best beer Germany has to offer, as well as the culture of the German people. Head to the city of Trier to see the historic sites, to the capital of Berlin to check out the fall foliage, or base your entire trip along the best festivals. While the Northern Hemisphere experiences its end phase of warm weather and sun during the fall, the Southern Hemisphere countries like New Zealand and Australia are experiencing rebirth in the form of spring. This is the perfect time of year to see beautiful floral blooms and fresh snowcapped mountains in cities like Auckland, or in the beautiful National Parks of New Zealand. When you think of fall foliage, one place probably comes to mind for U.S residents: the northeast, specifically New England. If you think it’s all a bunch of hype and the colors aren’t as spectacular as people say, you’re wrong. Vermont, New Hampshire, and also Western Massachustts, Upstate New York, and Maine experience tremendous fall color. The rest of the New England states, too, experience beautiful foliage just a few weeks later than the northern states. Sure, Cape Cod does reside within New England, but unless you’ve been to the Cape during the summer, you have no idea what it’s like to fight Cape Cod bridge traffic on the busy Sagamore and Bourne Bridges, as well as on the congested highways of Route 28 and Route 6. There are nothing but positives for planning a fall vacation to Cape Cod. No annoying tourists, no fighting over a spot at the beach, and you might not even have to pay to go to the beach. Also, no waits at the best restaurants, and there’s still warm ocean temperatures, especially on Nantucket Sound throughout September and into early October sometimes. One other huge plus is the rates are nearly cut in half (sometimes more) after Labor Day and even more after Columbus Day. The Cape doesn’t experience fall foliage as colorfully as destinations in northern New England, but the color is still there and still impressive to see. Post monsoon season in October-November is a great time to head to India. Drier air means less bugs, and a more comfortable trip for you. Check out the post on taking an India Sabbatical on this blog (link in the header for this section) for travel tips, recommendations, and places to see during any time of year. The fall foliage doesn’t stop at the Canadian border, it keeps on moving north through New England and into the province of Quebec. In the heart of the province, you can find historic Quebec City, which is one of the most European inspired cities west of Europe itself. Fall temperatures are comfortable in the city, and the autumn foliage provides a stunning backdrop to the buildings along the St. Lawrence River. What is already an impressive National Park in Northern California becomes even more splendid in the fall. With a drop in temperature comes a change in leaf color, as well as a change in the shades of grass, the hue of the sunsets, and the amount of tourists in the park (that’s a theme of this post, and a definite benefit to traveling in the fall!). The park is open until late October, so get your vacation in before then. The park has been known to have brutal snowstorms even in late October that can shut down the park entirely. Plan your trip in September, and then plan to head to Napa on the way back to enjoy wine country. After that, don’t forget about San Francisco, which experiences its highest temperatures in the month of September. Out looking for leaves this autumn? Leaf peepers, stop by this page for the best fall foliage spots in the United States collected onto one page! Cape Cod is one of the most treasured spots on the East Coast for its amazing beaches, secluded bikepaths, and historic lighthouses that dot the shore. Each of the towns of Cape Cod have their own unique flavor. For example, Sandwich is a great town for those looking to experience the quaint, quiet New England backroad feel of the Cape. Just next door, the town of Barnstable contains many villages, most notably Hyannis, home of the Kennedy Compound, and the only designated “city” on Cape Cod. This page will help you plan a trip to Cape Cod, and find some of the best things to do, places to see, provide Cape Cod road trip tips, make suggestions on when and where to stay, and provide links to further information about the Cape. If you’re looking to plan a trip to Cape Cod, first, you’ll need to find out what season you prefer. Cape Cod can get very warm in the summer (at least to New Englanders), with temperatures reaching the mid to high 80’s, sometimes into the 90’s for a few days stretch. The climate is usually humid on Cape Cod, but a sea breeze keeps most of the Cape slightly cooler than the rest of Massachusetts. If you’re looking for warm weather without the crowds, autumn is very comfortable on Cape Cod. Temperatures still stay in the 60’s and 70’s through most of October, and you’ll have the bonus of fall foliage. The winter is a beautiful experience as well, when snow blankets much of Cape Cod during parts of January and February (though driving can be stressful for those not used to it). To summarize, those looking for very warm weather and warm beaches, come in the summer (though be warned, Cape Cod traffic can be insane in the summer). For thinner crowds and cooler temperatures, visit in autumn. For a wintery experience that has wreath decorated ligthhouses and Colonial homes lit for the holidays, visit in autumn. Spring, too, is often underestimated for its comfortable temperatures (and less bugs, too). The next on your Cape Cod vacation planning checklist would be the place to stay. Cape Cod doesn’t have all too many large chain hotels, which is good and bad. It’s great because you don’t have to worry about the cheesy, cookie-cutter atmosphere and robotic concierge of chain hotels. On the other hand, you never know what to expect, that is, unless you read hotel reviews. Check Trip Advisor for honest reviews from people that have stayed there, and to get additional photos of the rooms. You’ll be surprised by some of the comments, sometimes disappointed, sometimes pleasantly surprised. It isn’t always the more expensive hotel that’s the better one! Cape Cod has many bed and breakfasts, inns, and motels. You won’t find many multi-story hotels. The bed and breakfast is a great route for Cape Cod travel, but can be a little expensive sometimes. Motels are often no-frills, and rely more on the surrounding attractions and beaches than they do on the amenities they provide (they can also sometimes be very overpriced). If you’d like to stay at a nice place on Cape Cod, you’re most likely going to spend over $100 night. Next, you’ll want to plan out what time of week (and what week) you’ll want to stay. Weekends on Cape Cod, even in the early autumn, can be nuts. Traffic can back up the Bourne and Sagamore Bridge for miles heading to Cape Cod, and back. Typically Friday is the worst day for traffic heading over the Bourne and Sagamore Bridges. Sunday night is often the worst coming back, but Saturday morning can be rough both ways. If the weekend is a holiday weekend, expect traffic on the holiday (like 4th of July, Labor Day, Memorial Day, and Columbus Day). To avoid the traffic, avoid travel on the weekends. If you must travel on the weekends, try to plan your trip over the bridges early on Friday morning, early Saturday morning (before 7am), or Sunday morning (before 7am). On your trip to Cape Cod, you’ll need the basic beach essentials: sunglasses, suntan lotion, a beach towel, and bathing suit, some changes of clothes – not much else. Like any road trip, you’re best off to pack light. If you run out of clothes, you can always buy a souvenir t-shirt or sweatshirt. Gas is slightly more expensive on Cape Cod than elsewhere in Massachusetts. Gas stations are located heavily along Route 28, and signs are designated for gas stations off of Route 6. Now, which Cape Cod towns should you visit and stay at? The towns of Cape Cod all offer something different. Bourne is the westernmost town on Cape Cod. While Bourne isn’t the most popular resort town, it is a beautiful stopping point on your trip for many reasons. The Cape Cod Canal, which runs from Cape Cod Bay to Buzzards Bay, provides miles of bike riding, walking, and skating opportunities along the paved bike path. It also has some of the best fishing on Cape Cod. Bourne’s western beaches provide goregous views of the Elizabeth Islands and the Cape Cod Canal boat traffic. Along the canal, be sure to take a stroll on the bike path to view the Cape Cod Canal Railroad Bridge, a beautiful piece of architecture that looks great during sunsets. Falmouth is located on the southwestern corner of Cape Cod. Falmouth has been built up over the years, but still has some beautiful, quaint, New England style villages. Route 28 leads directly to the town of Falmouth, and eventually to Woods Hole. Woods Hole is a small village on the southern tip of Falmouth, and the home of the Martha’s Vineyard Ferry (which is a great day trip). It’s also one of the most popular towns on the Cape to stay at because of its many beaches and proximity to the bridges. Mashpee is a mostly residential town adjacent to Sandwich, Falmouth, and Barnstable. There aren’t too many hotels in the town of Mashpee, but the town does have some memorable coastline between Falmouth and Barnstable near Route 28. Explore the hidden harbors, marshes, and inlets on these scenic backroads and you won’t be disappointed. Sandwich is the oldest town on Cape Cod. Of all of the towns on the Cape, it probably has the most “old time Cape Cod” feel, especially along Route 6A. The town has a small stretch of shoreline between Barnstable and Bourne, right near the Cape Cod Canal. A drive down Route 6A in Sandwich is not to be missed! Also, check out the Sandwich Glass Factory, where glass makers handblow glass live, and offer works of art for sale in the gift shop. Barnstable is better known for its “village” of Hyannis and Hyannis Port. These two parts of the city have been made famous by former President John F. Kennedy, Ted Kennedy, and Robert Kennedy as home of the Kennedy Compound. Besides the Kennedy connection, Barnstable has plenty to offer. Major villages like Cotuit, Centerville, Craigville Beach, and the busy town center of Hyannis along Route 28 are some of the most visited spots of Cape Cod. Barnstable is also where you can find Sandy Neck Beach, a long, dune-filled peninsula with unbelievable views of Cape Cod Bay. Yarmouth, located right next to Hyannis/Barnstable, is a town that is very different from north side to south side. It is one of the few towns that has shores on both Nantucket Sound and Cape Cod Bay. The busy south side is much like Hyannis along Route 28, while the north side has calm waters and rivers at Bass Hole and Yarmouth Port. It also shares Bass River with its neighbor to the east, Dennis. Yarmouth is one of the most popular resort towns, which you can find many of along Route 28. Dennis shares its school system and the Bass River with the town of Yarmouth. The two towns are interconnected in many ways, but Dennis offers its own beautiful coastline along both Route 28 and Route 6A. Like Yarmouth, many of the resort and motel areas are located along Route 28. Bass River is one of the most popular areas in town for fishing and boating. Harwich, which is known for containing “seven villages and three harbors,” is further east along Route 28 on Cape Cod. Harwich contains the busy town center (in the summer, anyways) of Harwich Port, and has a ferry that leaves for Nantucket from its shores. Unlike Dennis and Yarmouth, Harwich doesn’t have a northern shore along Cape Cod Bay, but does have great beaches on the southern side on Nantucket Sound. North of Harwich and east of Dennis is the unofficial most quiet town on Cape Cod, Brewster. This small town has serene, picture-perfect beaches at Paine’s Creek and other Cape Cod Bay beaches. Brewster has many of the best bed and breakfasts Cape Cod has to offer. Along Route 6A, you can find a stretch of antique shops and galleries to browse during your trip. Much of the town preserves its Colonial era charm through its antique homes and buildings. Linnell Landing, Brewster, low tide. Chatham is located south of Brewster and Orleans, and east of Harwich. Chatham is one of the wealthiest towns on Cape Cod, and has some of the best views on the entire Cape. With stupendous shoreline along Nantucket Sound and the Atlantic Ocean, you can find some great beaches in town. Unfortunately, many of them are private, but some aren’t. Try visiting Lighthouse Beach near the town center, and don’t miss a cruise along Pleasant Bay on Route 28. The views there are incredible. Orleans, like Chatham, has incredible views of the Atlantic Ocean. It has the advantage of having some of the best Cape Cod Bay beaches on the northern side as well, like Rock Harbor. Much of Orleans’ eastern facing beaches are protected by the Cape Cod National Seashore, which stretches from Orleans to Provincetown. Eastham is one of the most famous towns on Cape Cod, if we’re speaking in terms of iconic images. The famous Nauset Light which you can see on Cape Cod Potato Chips bags everywhere is adorned with the historic lighthouse. 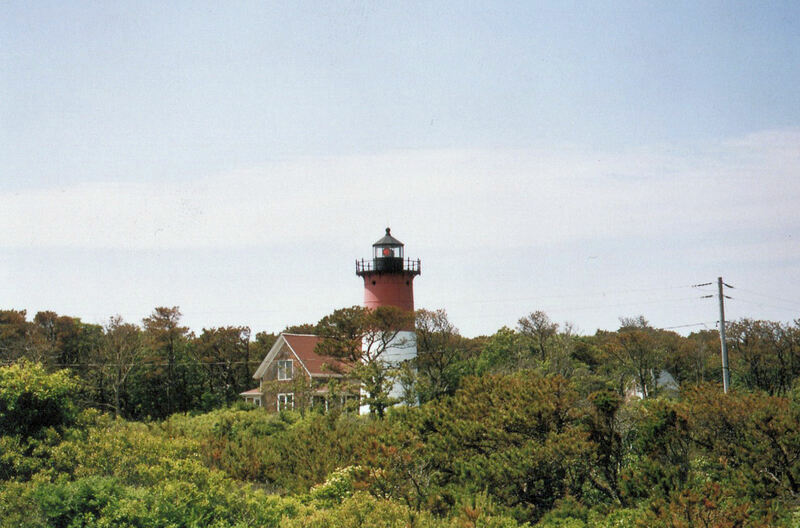 Just behind Nauset Light, you can find the historic Three Sisters of Nauset lighthouses. Also, don’t miss the beaches in Eastham. The ones on the Atlantic Ocean provide great surf, and dramatic views because of the high dunes behind you. Of all of the towns on Cape Cod, Wellfleet could be the most dramatic. It has frequent whales that visit the Cape Cod Bay side, winding river marshes that can easily be seen from Route 6, and is home to the famous Marconi Beach and Marconi Station, both part of the Cape Cod National Seashore. As you head further north (or east, as Route 6 indicates), the hotels/motels because further apart. This makes the Outer Cape region one of the tougher places to find a place to stay, and one of the most expensive. However, the price is well worth the drive and the extra money, as you’ll see once you arrive in Wellfleet. This is probably the quietest and smallest town on Cape Cod. Located south of Provincetown and north of Wellfleet, Truro has some galleries in the town center, located off of Route 6, along with Highland Light, located on the Atlantic Ocean side of town. There are some homes that are available for rent in town by the week/weekend, but very few places to stay other than these. Right before the Provincetown town line, you’ll find the famous cottages along Route 6A, which offer some of the most desirable views on Cape Cod. Provincetown has a long history of being an artist colony, and tradition continues today. It has dozens of art galleries on Commercial Street, making it the busiest art community on Cape Cod. Provincetown also is a massive gay and lesbian tourist destination, with many gay friendly restaurants, clubs and inns in town. The coast of Provincetown is not to be missed. There are three lighthouses in town, a mile long jetty that leads the PTown spit, and one of the best Cape Cod beaches at Race Point. The town also has miles of paved bike paths leading from Race Point to Provincelands, to the downtown area. Most of the places to stay are located in downtown, which is only a few minutes from any part of town. Which town will you choose for your vacation? The quiet appeal of Brewster and Truro, the busy atmosphere of Hyannis and Provincetown, or the easy to find/easily accessible beaches of Dennis and Yarmouth? Whichever town you choose, check the reviews of the hotel you’re booking through prior to committing. Once you’ve booked your hotel, you may want to read this guide on 50 things to do on Cape Cod, for recommended activities, trip planning, beaches, sightseeing, and other fun activities. For trip planning between Boston and Cape Cod, read our guide on the towns of the South Shore. 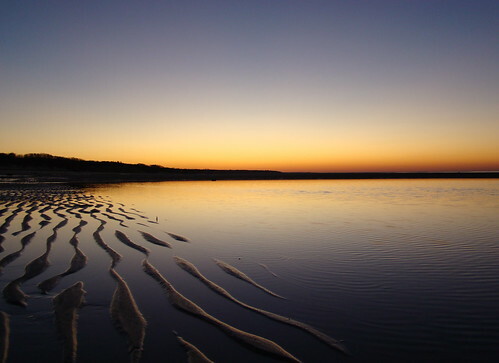 Do you have a favorite spot on Cape Cod that you recommend, or a travel tip you’d like to share? I’d like to hear from you in the comments section below, and so would our other travelers! A lot of places in Massachusetts get plenty of attention for what they have to offer in terms of scenic attractions, beaches, mountains, big cities, and historical sites. You’ve probably heard of Cape Cod, and you’ve no doubt heard of Boston. The South Shore of Massachusetts, however, sometimes gets ignored. Beyond the town of Plymouth, what else is there? Plenty. The South Shore of Massachusetts has lighthouses, scenic views of the Boston skyline, some of the best beaches in the state, great restaurants, and one other thing: a lack of crowds. That’s the biggest difference. We’ll start north and head south on this trip, and begin with the town of Quincy. Quincy is just south of Boston, so it’s a city, not much of a beach town. Quincy does have its own beaches, particularly Wollaston Beach, but these are no match for the beaches further south. What it does have is a lot of history. The town is the home of former Presidents John Adams and John Quincy Adams, as well as the famous signor of the Declaration of Independence, John Hancock. Quincy boasts some of the best restaurants on the South Shore, as well as the beautiful seaside community of Marina Bay. Normally just a stopping point along Route 3, Weymouth doesn’t seem like it has much to offer in terms of scenic views, however, you may not have visited the Weymouth Back River along Route 3A. This scenic area has its own park, Abigail Adams Park, with plenty of space for dog walking and enjoying the fresh air. Like Quincy, this is a city style town with plenty of businesses and restaurants. You’ll also find Wesagusset Beach along the relatively small Weymouth shoreline. Hingham is one of the South Shore’s wealthiest communities, and one of the prettiest. Like Weymouth and Quincy, there isn’t all that much shoreline in town, but what is there is memorable. What’s most memorable about Hingham’s coast is the peninsula park called World’s End. This hilly land is made up of several hills overlooking Quincy, Hull, and Hingham. Nestled away on this tip, it’s easy to find yourself as the only visitor in this scenic park, strangely enough. Located on a peninsula in Boston Harbor, Hull is connected by land to the towns of Cohasset and Hull. There is no land route to Boston, except for a long 1-hour drive back down the peninsula south, and north to Boston. This scenic town of the South Shore boasts its most popular beach, Nantasket Beach. With miles of white sand, Nantasket has little rocks and plenty of stretches of soft sand to walk on. Much of Nantasket also has a giant sea wall, which is another popular place to go walking or running. Further north in Hull, you will reach some of the hills for which the town is famous. To the north, you can view Little Brewster Island and Boston Light. At the very end of Hull, you’ll find Pemberton Point, looking out at Peddocks Island, the Boston Harbor Islands, and the skyline of the city of Boston. Get here early if you’re heading here in the summer, because the beach parking fills up fast. Cohasset, like Hingham, is a beautiful community that has many spectacular, high priced homes on the water. Cohasset’s Jerusalem Road is a must drive for the South Shore. When you’re done with that, drive through the center of Cohasset, and to the tribute to the former lighthouse in Cohasset at Government Island. Minot’s Ledge Lighthouse can clearly be seen from the park, which stands alone in the waters of the Atlantic Ocean, protecting ships from the rocky shoal to this day. Scituate is located south of Cohasset. Scituate has its own lighthouse and harbor. 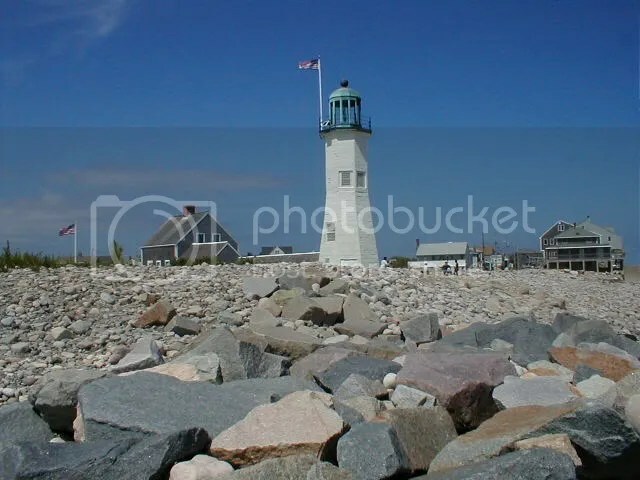 Scituate Light can be seen as the introductory photo for this post. From the coast of northern Minot, you can spot the Minot’s Ledge Lighthouse, along with a small beach (and sometimes tidal pools). In Scituate Center, you’ll find plenty of shops, art galleries, and local restaurants featuring seafood, Irish food, and ice cream. South of the center, you’ll find the cliffs area of Scituate. These four cliffs have spectacular views of the ocean. The Fourth Cliff of Scituate is located in Humarock. This coastal village is only accessibly by first traveling through Marshfield. Scituate and Humarock were once connected, but a storm moved the mouth of the North River between Third and Fourth Cliff to its present entrance. At the coastal center of the South Shore is the town of Marshfield. Like many coastal towns in Massachusetts and Cape Cod, Marshfield contains several “villages” that make up the town. Fieldston, Ocean Bluff, Brant Rock, Rexhame, and Marshfield Hills are some of those villages. The busiest of those villages in the summer is Brant Rock, which has extensive parking for summer strolls along the waterfront and for a day trip to the beach. You can find the Marshfield Hills section of town near Route 3A. Marshfield Hills has many historic homes and scenic backroads that are worth the drive. Duxbury has some of the South Shore’s most impressive scenery. Much of the town is located on the ocean, and the town has one of the busiest beaches in Massachusetts, Duxbury Beach. If you have the time, spend a couple of hours exploring the main roads of town like Washington Street, Powder Point Avenue, and King Caesar Road. These all have incredible views of Manoment and Plymouth, along with tidal creeks, small sailboats, and waterfront homes. Near Duxbury Beach, you’ll find the Powder Point Bridge. This bridge leads to the peninsula of Gurnet, which leads to the village of Saquish. This is four wheel drive access only, and you’ll need a beach permit sticker to get here. Once you reach Saquish, you’ll need to turn around. It’s residents only. The ride to Saquish, however, is unforgettable. On one side, there’s the open Atlantic Ocean. On the other side, you’ll see dunes, shorebirds, and Plymouth Harbor. 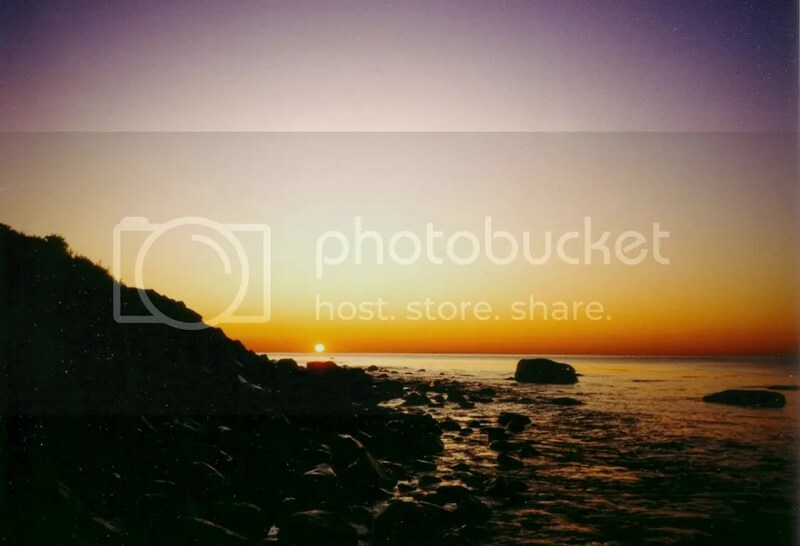 Bring your camera so you can remember this beautiful spot forever. If you’d rather not spend the extra money on a permit, you can park at the other side of the Powder Point Bridge and walk over. The walk is long, but the views are grand. The town of Kingston is located just south of Duxbury. Much of the shoreline of Kingston is dominated by the Jones River. Kingston has the small beach that overlooks Kingston Bay called Gray’s Beach, along with beautiful historic homes located on Main Street (Route 27). Much of Kingston’s shoreline can be seen by traveling first via Washington Street in Duxbury, to Bay Road. This will lead eventually to the Jones River and Bay Farm, a large open pasture that leads to the ocean. Plymouth is the South Shore’s most well known town, and also the largest town in the state of Massachusetts by land area. There’s no question that you should definitely make Plymouth part of your journey across the South Shore. Plymouth has some great seafood restaurants and shopping in Plymouth Center, but also has stunning beaches and deep history (which you probably already knew). 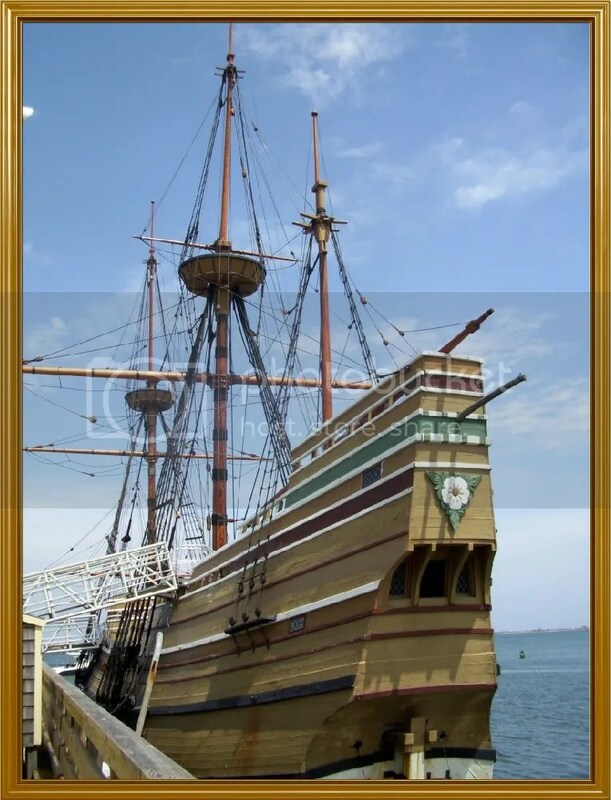 There are many historic buildings and parks in Plymouth, but make Plymouth Rock, the Plymouth waterfront, the Mayflower II, and Plimoth Plantation “must-sees” on your trip. There are some beautiful beaches in Plymouth, many of which are private. For a better view of some of them, take the Captain John Boats, which offer great whale watches. A trip on one of these boats will give you great views of Kingston, Duxbury, Saquish, and sometimes Provincetown (not to mention the whales themselves). A trip across the South Shore will take all day, if you start early. Otherwise, it could take two days. Popular towns to stay in include Rockland, Hull, and Plymouth. Be sure to plan your trip around bridge traffic on Cape Cod as well. Bridge traffic is heavy on Friday and Saturday nights, as well as Saturday and Sunday mornings. One of the major reasons to visit New England is for its brilliant fall foliage and the sightseeing that comes along with it in these cool autumn months. Sort of like a distraction from the rough oncoming winter, fall brings about a beautiful change in leaf color throughout the entire six states, and throughout the country. While color does change all over the United States and throughout the northern hemisphere during the fall months, New England and the northeast of the USA has some particularly colorful displays of color. Each area of New England has its own peak leaf change time. Much of the six states experience peak fall foliage during the 2nd and 3rd week of October, but higher elevations will peak much sooner. Along the coast and further to the south, foliage will peak later. Outside of New England, it isn’t unusual in the southern states for the most attractive autumn color to come about throughout November. Here are five places you can visit in the United States to experience some brilliant fall color, as well as take up some of the local history and culture while you’re there. 1. Boston. The city of Boston has beautiful fall foliage displays. Unlike many other cities throughout the country, Boston has plenty of trees lining the streets and along the Charles River. Just outside the city, you can find great walking trails in the Blue Hills, complete with some spectacular overlooks of the city and harbor. 2. Killington. My personal favorite place to see autumn foliage, Killington is one of New England’s biggest ski resorts, but an underestimated place to see some beautiful sites in the fall. 3. The Berkshires. The western edge of Massachusetts has some incredible, isolated towns and peaks to peep more leaves. Towns like Lenox, Lee, and Williamstown are just a few miles from both Vermont and New York, making it an interesting vacation or weekend getaway. 4. Kancamagus Highway. The North Conway region of New Hampshire is probably the busiest part of the state during leaf peeping season, and its busiest highway is the scenic backroad highway, the Kancamagus. If you can, try to avoid the weekends and visit a few hours before sunset or an hour or two after sunrise for the best views. 5. Mount Monadnock, New Hampshire. The Monadnock region of New Hampshire is fairly isolated, and that’s the best part. Nearby is the town of Hancock, NH, one of the prettiest towns in New England, along with plenty of deserted backroads to travel and enjoy. If you’re looking for a more commercial route with plenty of stores, towns and rest stops, this isn’t it. For that experience, you might want to head to the middle of New Hampshire or to some of the more traveled coastal towns of New England. Also, be sure to check out lensmaster Jazzodog‘s lens on fall foliage in New England, where users have voted on and submitted their ideas for the best places to visit and see foliage in the six states. If you’re looking for variety in your road trip, New England might be the place to find it. The cold Atlantic waters have carved beautiful beaches along Cape Cod, while Maine’s coast has miles upon miles of steep ocean cliffs. Further inland, Vermont’s Green Mountains and New Hampshire’s White Mountains change every season to provide us with a different view of their forested slopes. Lensmaster Kiwisoutback has written an entire guide to taking a road trip to New England, which delves into the more popular destinations like Franconia Notch in Vermont, the Connecticut wine trail, the shore of Cape Cod, and the Berkshire Mountains of Massachusetts. You’ll also find a list of recommended things to do in each state, where the major cities are in New England, where the lighthouses are located along the coast (also rivers and lakes), and the interesting regional food. Have you ever visited New England? You can also add a Twitter update to the lens tweeting out your favorite destination in these six states, whether it’s a roadside diner, ski resort, bed and breakfast, or just a secluded beach that’s worth seeing. Also visit the road trip blog to see more U.S. travel destinations you can visit by car.